With the coming of the dawn, the fleet weighed anchors and pulled out of Bon Secours Bay. The wind bellied their sails as they came around the head of Heron Island, heading for the open ocean, prepared for the long Atlantic crossing. As the fleet began to pick up momentum, a lookout in the Statiras mainmast called a warning, a sail had appeared out of the dimness of the western horizon. As it drew near, they could see that it was a sloop. It flew the flag of the Baratarian pirates, and below it, a flag of truce. Then it hoisted a series of signal flags. From where he stood on the fore deck, Captain Swaine put his telescope to his eye to read them, and then made an exclamation of surprise. 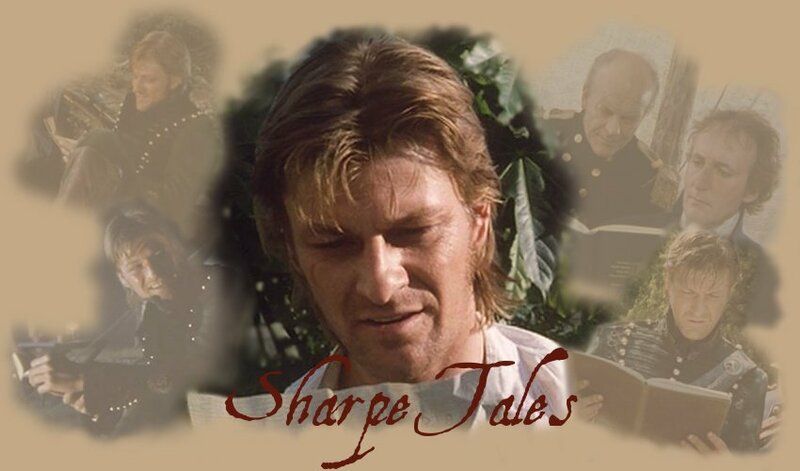 He turned to Sharpe. Sharpe nodded, and the Statiras signal flags were raised in response. He watched in confusion as the sloop drew alongside, then he saw a familiar form standing at the prow, the smiling, darkly handsome face, broad-brimmed hat and gaudy sash of Jean Lafitte. The pirate removed his hat and bowed with an elaborate flourish. It was a sheath, a sheath to hold the big fighting knife that now belonged to him. 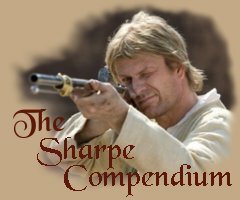 He took the blade out of his belt where he had been keeping it; and it slid easily into the mouth of the sheath, a perfect fit. On the back, stitched in silver thread, were the initials "ML." The sheath was of finely tanned leather, cut from the hide of one of the great reptiles that swam in the bayous of this land, an alligator. But he knew it was much more than just any alligator.